Florida's craft beer growth is impressive. Jacksonville alone has seen several breweries, brew pubs, and craft beer bars open in the last few years, and there are dozens in planning. Nearly the same narrative can be found in Tallahassee, Tampa, Orlando, and Miami. 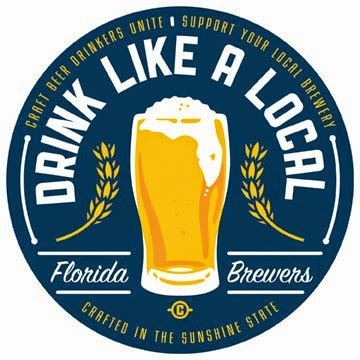 The micro-breweries are directly contributing to hundreds, if not thousands, of jobs in Florida, which strengthens local economies. Senate Bill (SB) 1714 jeopardizes the growth and existence of current and future micro-breweries. It's an aggressive attack on the small businesses that, if successful, will help to put more money in the pockets of the mega national companies such as Anheuser-Busch. 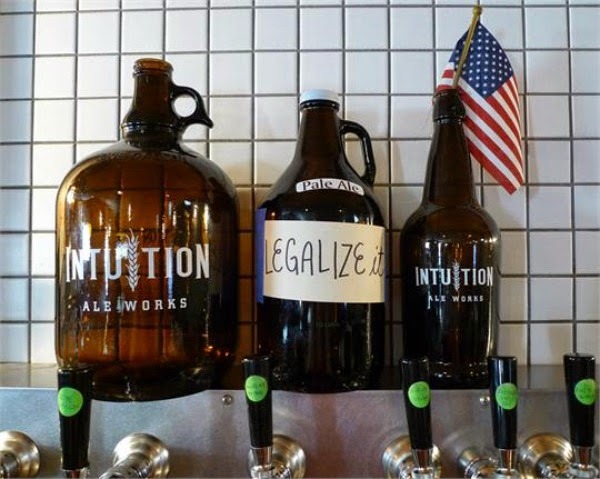 Small breweries like Intuition Aleworks and Bold City Brewery are advocating for an outdated law to be changed, which would allow these breweries to sell beer to-go in half gallon growlers (64oz). These breweries are already permitted to sell growler fills, but they must be sold in 34oz or 128oz jugs. Because the 64oz growler is the industry's norm, this law has been a thorn in Florida's side, and will continue to be a barrier until this law is changed. In fact, Florida is currently one of just three states that has outlawed the 64oz growler. However, State legislators have flipped the bill on its head and now propose any brewery that produces more than 2,000 kegs annually would have to sell their beer directly to distributors and then buy it back before they sold it to their own customers. The distributors would likely sell the beer back to the breweries at a 30%-40% markup, which would potentially devastate the local craft beer industry. Ben Davis, founder of Intuition Aleworks, recently told News4Jax, "It's going to kill us...it's going to basically make you question your whole business plan and change the way you operate." If SB 1714 passes, it could be lights out for the Sunshine State. The incredible growth and influx of small breweries that we've witnessed over the past 5 years would come to a screeching halt. Florida would be less appealing for future brewers. All of this would adversely affect our economy. What was originally proposed as a bill to assist and support small breweries in being able to sell 64oz growlers has been turned and used against them. This is, in large part, thanks to the political clout and financial power of Anheuser-Busch. This is a battle of David and Goliath. Anheuser-Busch might have the upper hand, but I have always been a fan of the underdog. You and I can play a role in this fight against a bill that would literally bully the small businesses out of Florida. All because breweries like Budweiser are intimidated by the tremendous growth and popularity craft beer is receiving. Reach out to the local breweries and let them know you're in their court. Stop buying beer from Bud, Miller, and Coors. Begin to only buy beer that's brewed locally. Call your Senator. Write, send emails, leave messages. Do what you can to protect our local businesses and the many jobs they create. Thanks for reading the Beer Apostle and for supporting craft beer! Join in on the discussion by following me on Twitter and Facebook! Cheers!